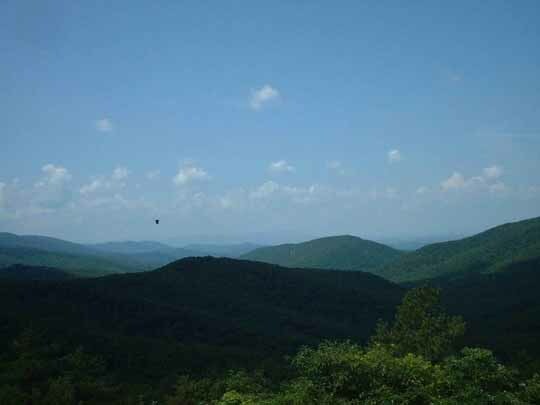 Driving along the Blue Ridge Mountains can be an excellent day trip with a breath taking view of the Shenandoah Valley . There’s loads of camping and hiking too!. The perfect weekend get away. Skyland Resort and other lodges have made considerable effort in implementing green practices through PlanetEVERgreen , the official environmental “greening” program of ARAMARK. Thirty rooms at Big Meadows Lodge were renovated utilizing all beetle-kill lumber. No new growth harvest trees were used. Other efforts have been providing local food in the dinning rooms, using environmentally friendly cleaning products, offering products made with recycled materials in their gift shops, and reducing waste by recycling and converting to products with less packaging.